Roxanne is a powerhouse of seasoned musicians bringing the hits of The Police with an intensity and creativity like no other. Cathy takes on the duties of Sting, singing lead and playing bass lines + foot-controlled synth, while Gina completely nails Andy Summers' guitar sound and Rhonda channels Stewart Copeland's fearless style of playing. ​Roxanne's goal is to bring each song to the stage 100% LIVE. 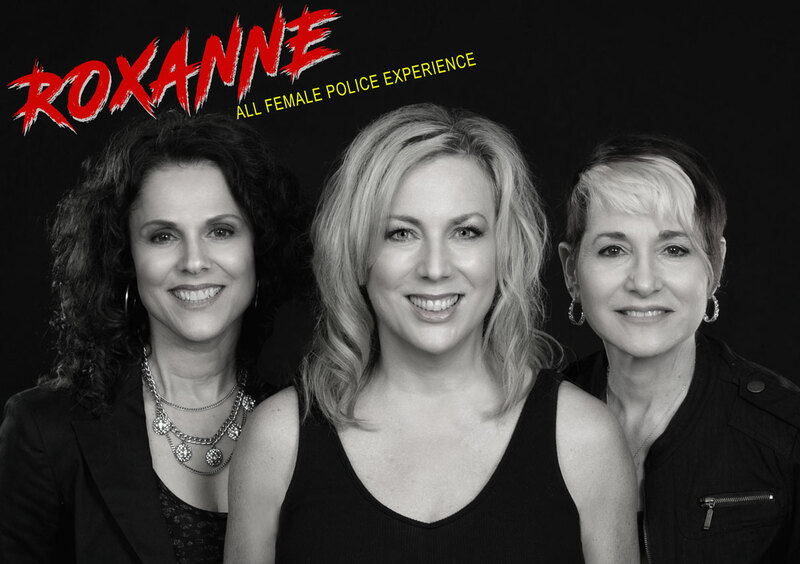 From studio hits to live versions from various tours, Roxanne pushes their limits to the maximum to create an experience Police fans will love, and show they won't forget! CHA!